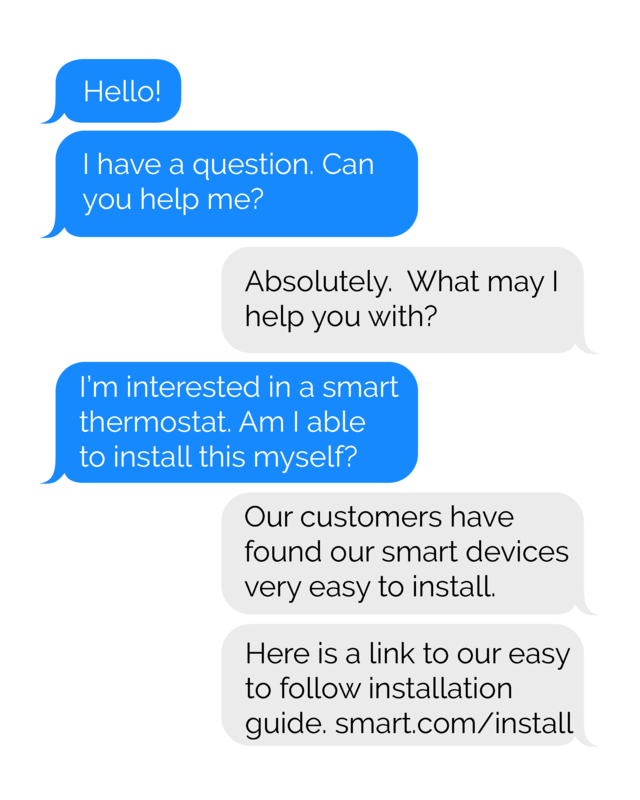 Give connected customers what they want. Let them engage with you on your existing phone numbers over the channel of their choice – SMS text messaging. Moving calls to text messages saves you money. Employees handle multiple customer conversations with ease. Watch customer satisfaction scores soar. Your customers want to connect on their terms and messaging is the channel they prefer. Quiq Messaging allows your customers to reach you on their favorite text messaging app. There’s nothing new to learn or download. Exchange images, video, gifs, and emojis with customers, just like they do with their family and friends. Employees, like your customers, already use messaging every day. 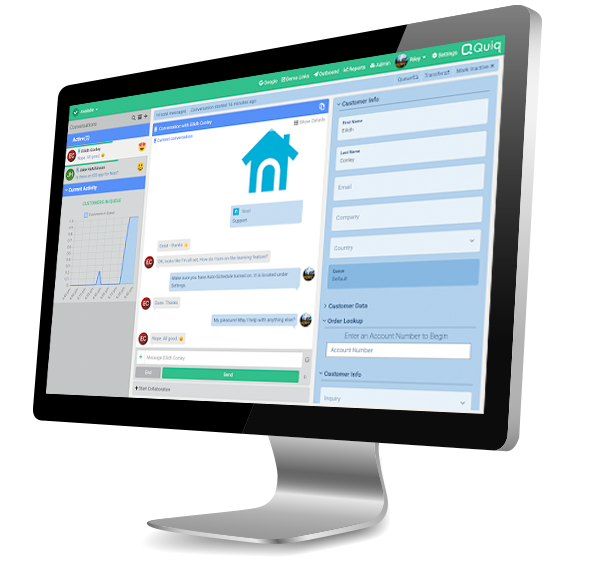 Quiq Messaging allows employees to easily handle multiple conversations at once with tools that help them quickly prioritize and manage conversations in a single, cross channel, easy-to-use interface. 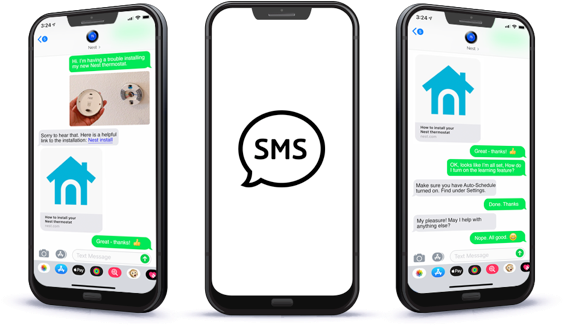 Need to handle hundreds or thousands of simultaneous text messaging conversations with customers? No problem. Our robust capabilities will keep your team effective and efficient.